Unfortunately your browser lacks support for this awesome video! Welcome to Puzzah! Denver. We are located in historic LoDo just minutes away from 16th St. Mall and Union Station. Assemble a team and choose your live adventure. Inspired by the escape room trend around the world, Puzzah! takes the excitement to the next level. Each mission below lists a number of players. We recommend very experienced players form groups closer to the minimum, while other groups should feel free to go up to the maximum number of players. Your booking is private and you will not be playing with strangers! 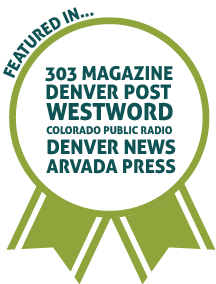 For any inquiries, please visit our FAQ page or call us at 303-534-5477. The missions below are at our Denver location. Click here to choose another location. For corporate inquiries, please click here. For kids parties, please click here. INTERCEPT is threatening the city with acts of cyberterrorism. 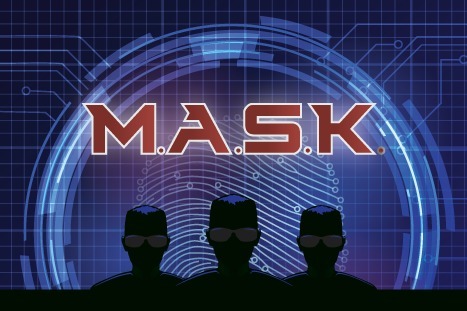 An elite crime-fighting team called M.A.S.K. has formed to respond to the INTERCEPT threat. M.A.S.K. needs heroes like you with the skills to infiltrate enemy bases and defeat hostile agents. Will you answer the call and join the M.A.S.K. team? In another universe, time machines are everywhere. They make life exciting, but they use a toxic fuel that is poisoning the planet. 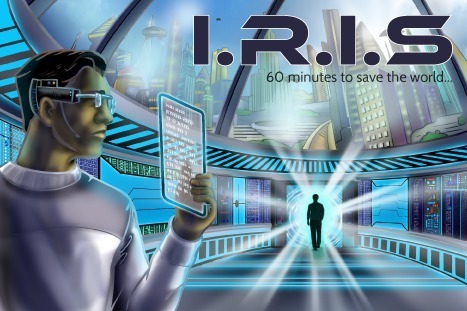 A brilliant artificial intelligence named I.R.I.S. has a plan and needs a resourceful team of time agents to carry it out. Are you prepared to jump back in time to save the world? Welcome to Kellar Kazam's attic, filled with clocks and magical delights. 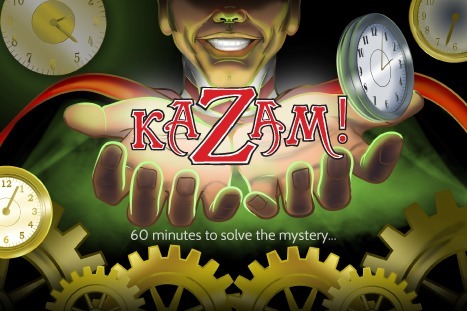 Armed with only a pair of special glasses, you have to unravel the mystery of Kazam's disappearance. Skilled apprentices may unlock bonus challenges concealed among his personal effects. Are you worthy of carrying on his legacy? 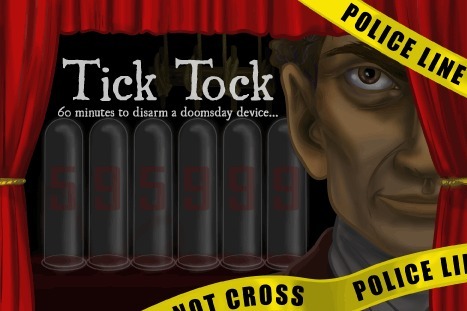 When a mad composer's latest composition turns out to be a hidden explosive device, you must step in as steel-nerved detectives to stop his plan before it is too late. Can you crack The Maestro's clever puzzles and find the hidden device? Once you find it, can you disarm it? Denver has shown its love for Puzzah! Puzzah! Denver is located on Blake Street between 14th St and 15th St. If coming from Denver International Airport, take the A line from DIA to Union Station. If driving, take Exit 210B for Auraria Parkway (I-25N) or Exit 212B for N Speer Blvd (I-25S). There is metered parking in addition to lots and garages nearby. We have another location in Broomfield. Click here to change locations.